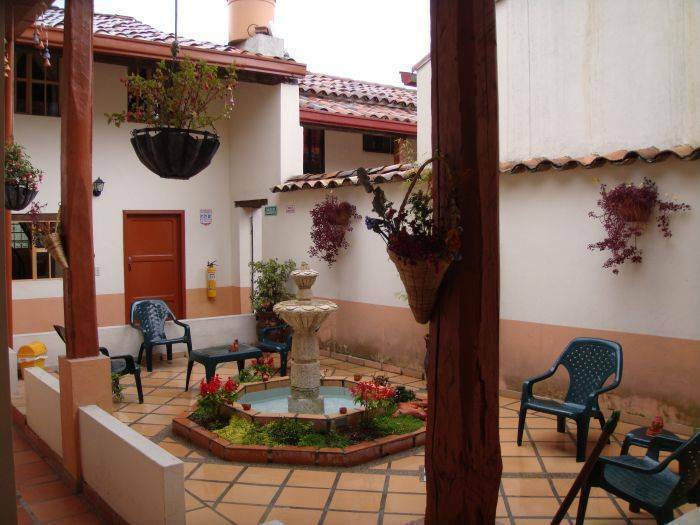 Our place for its location in the historical downtown of the city, offers a short sites hosting, large part of the history and current cultural, political and religious identity of the city like museums, art museums, Churches, etc. 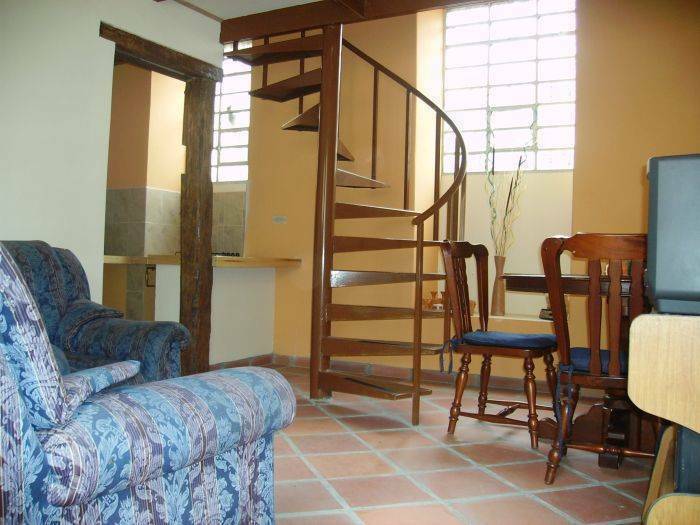 La candelaria hostel offers you a colonial architecture house with modern comforts in a safe place, with easy access in an area dedicated to hosting of foreign tourists. Each apartment is completely independent and is rented separately offering large spaces that allow you to a comfortable stay. We rent duplex apartments for families or groups and single, double, triple and quad standard rooms or rooms with shared bathroom. 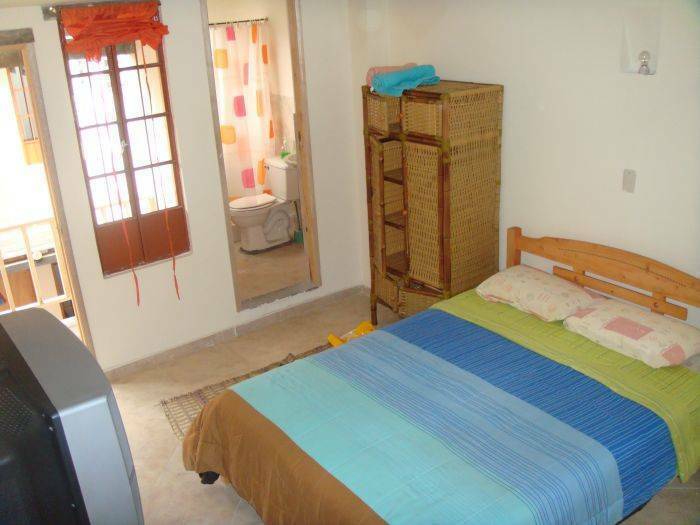 Each apartment has:Living room with cable tv, Dining room, Kitchen, Laundry room, Bedroom (whith 1 double bed and 2, 3 or 4 single beds), Bathroom with hot water 24/7. 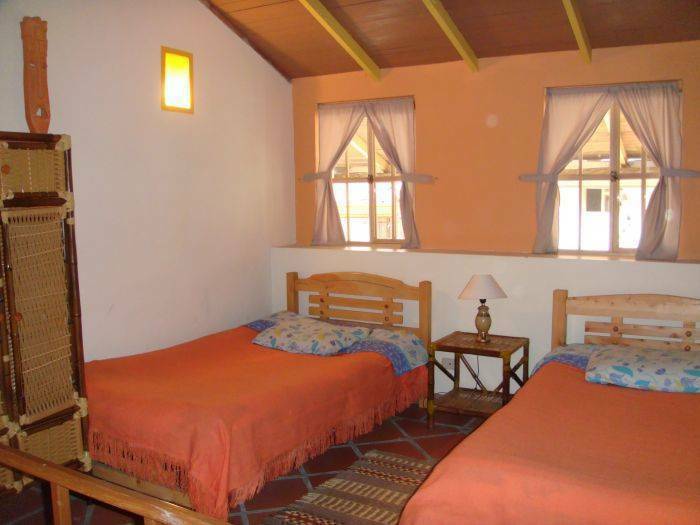 Each apartment has:Living room, Dining room, Kitchen, Laundry room, Bedroom (whith 1, 2, 3 or 4 beds), Bathroom with hot water 24/7. La Candelaria district is the most important historical and cultural area of Bogota, The historical downtown is distinguished by its culture and bohemian atmosphere , it has the best hotels, restaurants, bars, theaters and musical groups, as well as residence of many artists . 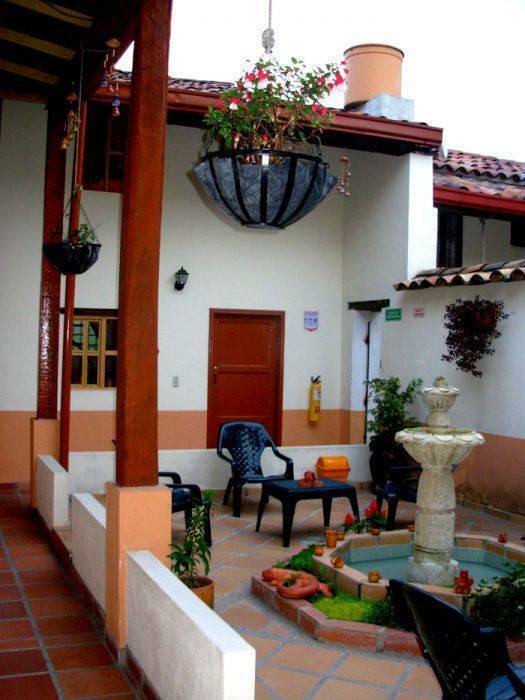 You can find centers crafts, jewelry shops, emeralds stores, typical and international food restaurants, the oldest colonial churches and museums , modern art stores, business centers and universities, all very, very close! You can take a taxi at the office ready to do so at the airport exit. There you give direction and to the neighborhood where you direct (Calle 16 No. 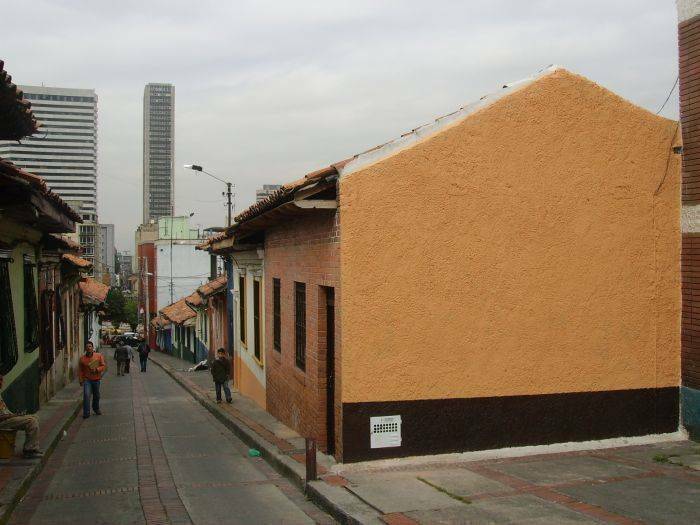 2-38, Barrio Candelaria, Centro Historico). There will also be handed a ticket to the value of the taxi service, about 9 dollars, which is the only cost that you must be paid to the driver. The taxi took Avenida El dorado or 26 toward the Middle Street where they are located in the hills of Montserrat and Guadeloupe. Upon arrival to the city centre took the fourth race southward to the Park of Journalists and turns east along Avenida Jimenez and then take 16 th Street to Race 2 where we are located. The time of this tour is approximately 20 minutes.